This item is made upon order. Please see shipping times in the "Shipping and Policies" section of the listing. 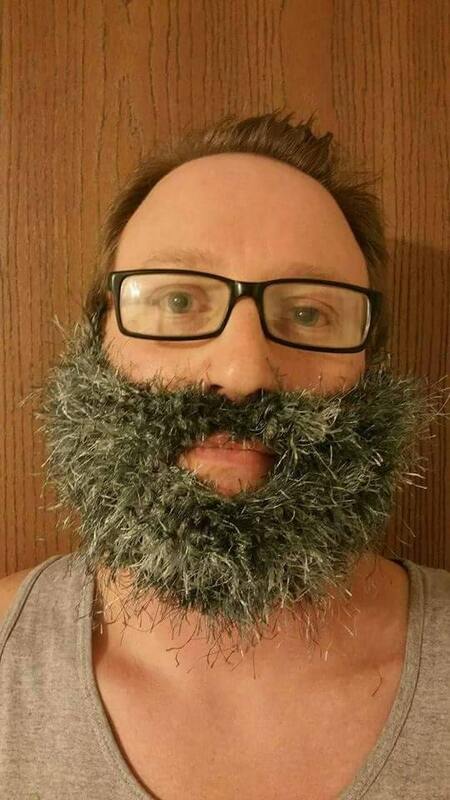 The fuzzy beard is my most realistic beard yet! 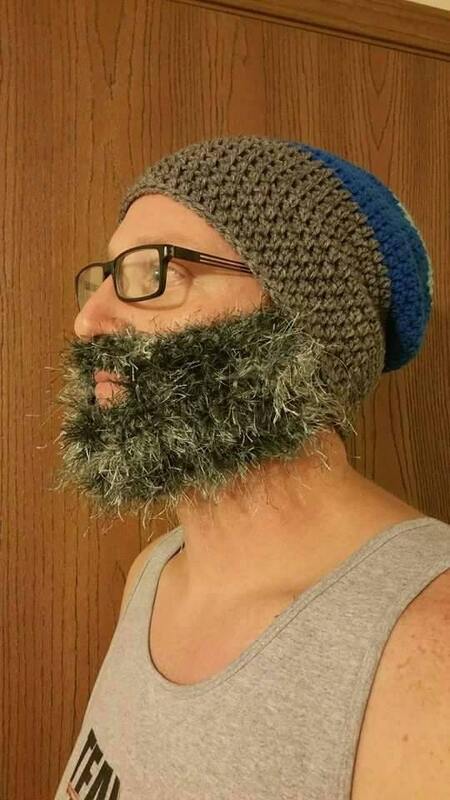 This slouch hat beard beanie is an awesome gift for the hipster in your life. 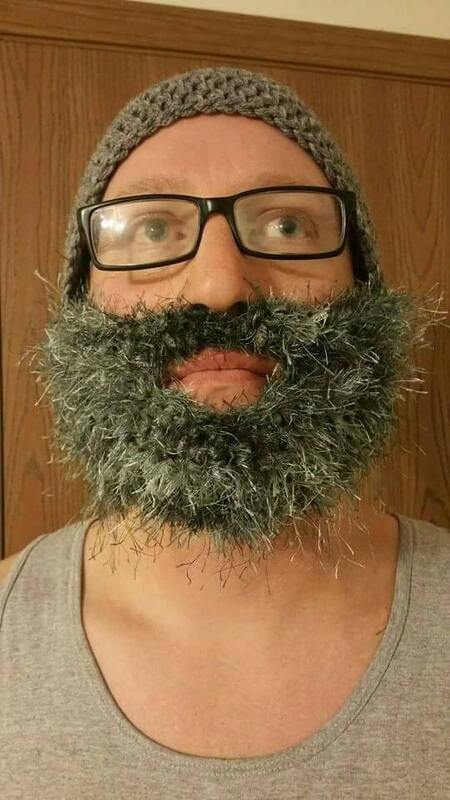 The beard can be removed and the hat can be worn on its own, so it functions as both a costume and an accessory. It makes a great gag gift or something just to make someone smile. 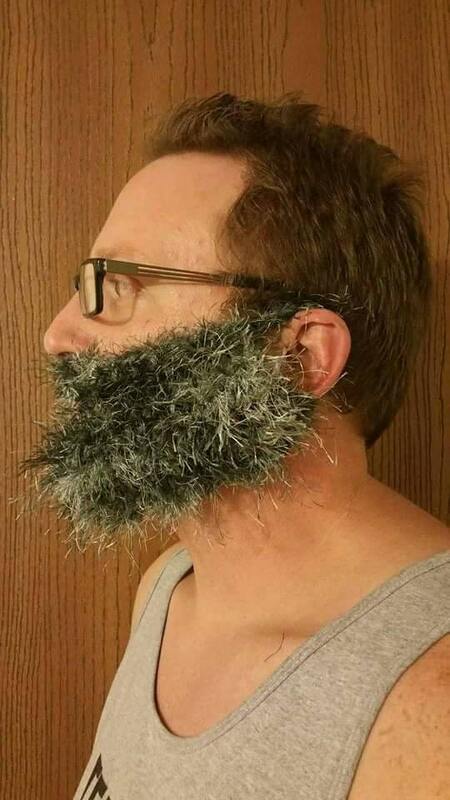 The beard is actually very warm and is perfect for cold winter days. College students trekking across campus can have their faces protected from the bitter wind in this unique ski mask style hat. The beard is worn like a doctor's mask. It loops around the ears, and the yarn is made from a soft, comfortable material. This listing is for the light blue, gray and primary blue chunky striped hat shown. Choose your beard color and size from the drop down menu. Don't see a color you like? Hit that Request Custom Order button and send me a message. 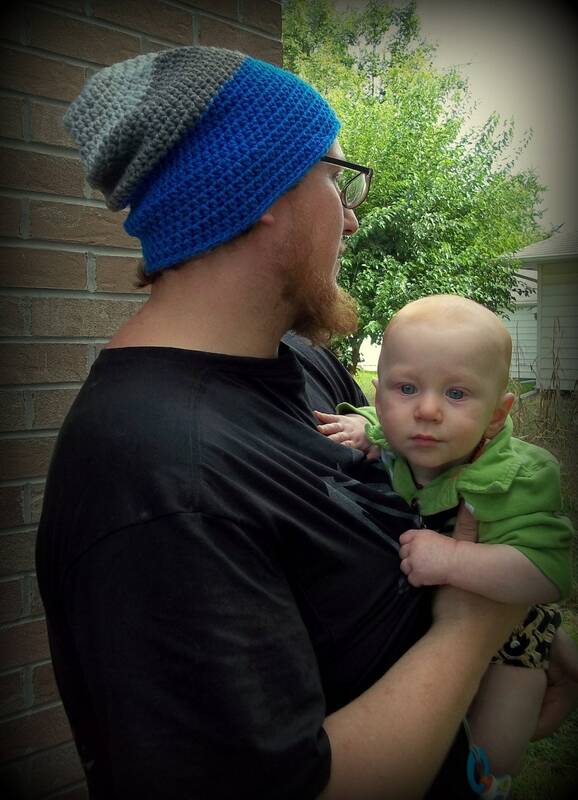 This hat can be made in nearly any color you can think of, and I welcome custom orders!